Soy los tuits que he leído (I am the tweets I have read)Official spin: Twitter — https://twitter.com — helps you follow your interests with instant updates from your friends, industry experts and breaking news from around the world. 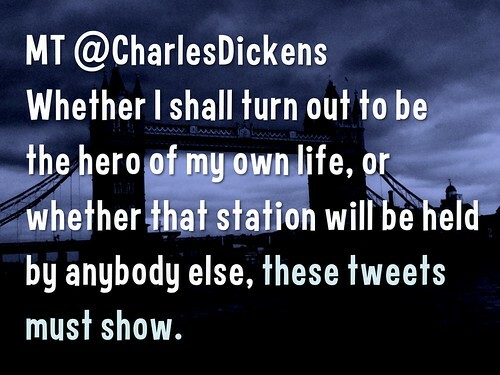 Our take: Twitter is a global poetry slam. Say something brilliant or quote someone wise. You can tweet your own horn or remix the work of others. Please remember to be generous in your interaction with others. If you are not favoriting and retweeting others, you’re not making the most of this social web channel. This page explores good practices with multiple levels of engagement. Tweets can be local or come from far, far away. Check out Richard McLellan’s #DoMoreGood: Using @Twitter to Increase your #NRMGroup Impact . The entire proceedings are worth reading as an introduction to Western Australia. Translating: Do you manage more than one Twitter account? ¿Administrasmás de unacuenta de Twitter? Kan du hantera flera Twitter-konton? You can only be logged in to one Twitter account at a time, in the same browser, if you’re accessing Twitter via the web. If you’d like to be logged in to multiple accounts at the same time, you can do so by using different browsers. From the Me tab, tap the accounts icon. Once you’ve added your additional account, you can toggle between accounts by tapping the accounts icon. Who have you blocked on Twitter? = A quién has bloqueado en Twitter? Who would you block on Twitter? = ¿Quién te bloquear en Twitter? Who should I follow on Twitter? = ¿Quién debería seguir en Twitter? Is your Twitter profile up-to-date? BREAKING: @Twitter sues feds over attempt to reveal identity of @ALT_USCIS account. These are the apps that can access your Twitter account. Learn more. Twitter works best when you learn the basics: #, @ and MT. If you are brand new to Twitter, commit to a sending a tweet (or more) a day for at least one month. Find a routine that works for you, but commit to it. If you send out monthly messages or less, the engagement factor is nil. Short sweet tweets are the most effective. Give your friends (aka followers) something to like and retweet. Retweeting extends the exposure of a single tweet … in large numbers, think ‘viral marketing’ … in small numbers, not so much viral but a good indication of interest and willingness to connect. Plus, Twitter’s Top Tweet algorithm calculates a tweet’s value according to the engagement it has. The more retweets, replies and favorites, the higher it is valued. Tweep = Person who follows another’s tweet. Tweet Seats = A section in a theater set aside for people who want to tweet during a performance. Organizations can invite anyone to Tweet from their account using the teams feature in TweetDeck. Learn more. Put a link on your official site to your Twitter page. 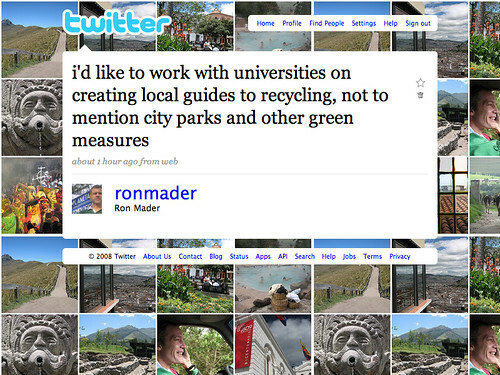 Tip: If you want to catch the attention of someone, start your tweet with their Twitter name (such as @ronmader) to show you are directing your remark to them. To get started, log in to analytics.twitter.com with your Twitter username and password to turn analytics on for your account. On a desktop or laptop computer, visit >analytics.twitter.com and click on Tweets. In the Twitter app for iOS or Android, tap the analytics icon visible in your Tweets. Make sure you have installed the latest version of Twitter for iPhone, iPad, or Twitter for Android. The Tweet activity dashboard is available to users who primarily Tweet in Arabic, Brazilian Portuguese, Danish, Dutch, English, Filipino, Finnish, French, German, Indonesian, Italian, Japanese, Korean, Norwegian, Russian, Simplified Chinese, Spanish, Swedish, Thai, Traditional Chinese, Turkish, and have had an account for at least 14 days. We’re working to roll this out to everyone soon. update your avatar/aka profile image? 2) El mismo mensaje con diferentes hashtags.Tu estas aburrido de tus seguidores mas que atraido por uno de ellos. Was auf Twitter verschicken (tweet)? Was auf Twitter weiterleiten (retweet)? 2) The same message with different hashtags. You are boring your followers more than attracting new ones. It’s always seemed to me a bit odd when people criticise Twitter because of the 140-character limit. I’m sure there are lots of things you could criticise Twitter for, but to suggest, as some people like to do, that a tweet isn’t real communication simply because it’s so brief is a bit like suggesting that Haiku isn’t poetry just because it’s over almost before it gets started. About 1,000 climate change protesters are making their way to Blackheath in south-east London where they plan to set up camp for a week. Activists had been gathering in central London waiting to swoop on a site kept secret by organisers. The protesters were informed by text and Twitter. Often, I find myself in a new city or country, unsure despite all my research of exactly what to do, see or eat next. But thanks to Twitter and the 424-and-counting readers who officially follow my updates, I can instantly poll the world for suggestions. Twitter — which limits each text-only post to 140 characters — is to 2008 what the blogosphere was to 2004 … Twitter posts can be searched instantly, without waiting for Google to index them. As a writer, though, I’m onto the system’s real appeal: brevity. Bloggers today are expected to write clever, insightful, witty prose to compete with Huffington and The New York Times. Twitter’s character limit puts everyone back on equal footing. It lets amateurs quit agonizing over their writing and cut to the chase. Man walks into Doctor’s and says “Doctor, I think I’m addicted to Twitter.” Doctor looks at him and says “Sorry, I don’t follow you. To tweet is to put an ocean in a glass of water. Twitter is another way of talking with people, just like email, or instant messaging or the telephone. But unlike those systems, it’s a way to broadcast to a group of people who’ve purposely decided they want to hear from you or for you to only hear from a group you’ve selected. Twitter is not a new media. It’s the global conversation we’ve always thirsted for. I ignore and deplore tweets that come with a Facebook link. Is there any way to nudge Facebookers away from this practice? It’s easier for them to send the message, but more difficult for them to be aware of any interactions. I dislike the way Twitter suggests ‘who to follow’ including people who have not tweeted for months or years! I wish I could search my favorites. You may only attach 100 widgets to a Twitter account. Followers who then unfollow you when you don’t follow back and then refollow you again. Question what is the difference between quoting a tweet and retweeting? Twitter has partnered with Yext so you can control your listings on a full network of premium sites including Yahoo!, MapQuest & Yelp. 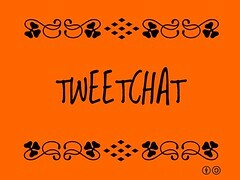 Twitter is a communication tool, so how does it work as a communication tool if communication is defined as a creative exchange of ideas or expressions between two or more parties? In other words, do you know if you are being heard on Twitter? It feels as if Twitter is millions of individuals shouting into the void or millions of individuals standing in a crowded room with everyone shouting randomly at each other. It is obvious that there is a value to Twitter as shown by its popularity, but I find the channel of communication to be either shallow because of its extraordinary depth. These are great questions. If we define communication as a creative exchange of ideas, then Twitter has value when it connects people. Sometimes this can appear as a regular conversation in which someone asks a question and then receives an answer. Sometimes it can appear as this random web of trending topics and miscellany that fail to inspire. My view: Twitter never has meaning until you follow people who inspire you. They can teach you, they can make you laugh or they can simply broaden your perspective. If you’re not paying attention to anyone, odds are poor that anyone will be listening to you. And in a broader, more holistic notion of engagement, I outline above the various levels of engagement. Most are about being generous — retweeting, embedding, acknowledging others. What does #FF mean? #FF stands for ‘Follow Friday’ in which those in Twitterverse give a shoutout on Fridays to recommend accounts they think others should follow. How do I remove followers on Twitter? How do I unfollow the people I’m following on Twitter? How do I add a Twitter button to my website? How do I add a link to my Twitter account from my website? How do I find people on Twitter? Can you recommend any automated Twitter apps? Can I automate my Facebook so that it uploads to Twitter? Yes, but what you gain in efficiency you lose in legitimacy. Twitterers will know that you’re just giving it a pass. Our tip: don’t auto-connect your Facebook and Twitter accounts. Is there a good way to track who unfollows you on twitter? How can I tell if someone has retweeted one of my posts? Can you explain how to use @ and # in twitter? Users can group posts together by use of hashtags — words or phrases prefixed with a #. The @ sign followed by a twitter account sets up a link to that person’s account. I notice that i receive sometimes the same twit from the same sender, at a few days interval. is that an acceptable practice? If it’s exactly the same tweet, I’d be annoyed. If it happens on a regular basis, stop following the person. How do I deactivate my Twitter account? How do I embed a tweet? What’s are the reasons you unfollow someone on Twitter? They are tweeting from Facebook and the tweets don’t make much sense. Their tweets are only self-serving. What’s the most important thing on Twitter? Unanswered question: What is the Twitter etiquette for ‘Direct Messages?’ Any tips on what works, what doesn’t? What’s up with the Twitter widget? In June 2013 Twitter disabled their old API. If your widget is not working, replace it with new code! What happens when you mute the sender of a promoted tweet or dismiss the tweet? 2) Write down your ID and password. 5) When you are ready, post your message. It must be 140 characters or less. 8) Include a hashtag — a words or phrase prefixed with a # in your message. Tip – Repeat this process on a regular basis (every day, every other day, every third day) for one month. This will give you critical feedback to see what works best for you. 2) Anote su ID y contraseña. 5) Cuando esté listo, envíe tu mensaje. Debe ser 140 caracteres o menos. 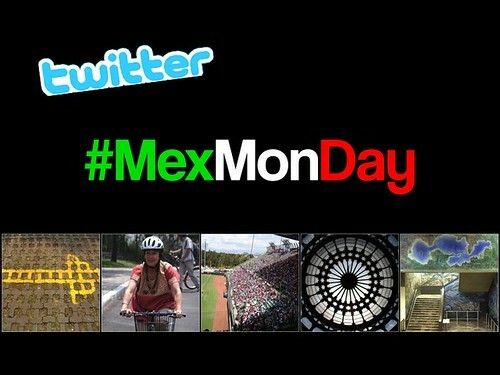 8) Includye un hashtag — una palabra con # en tu mensaje. 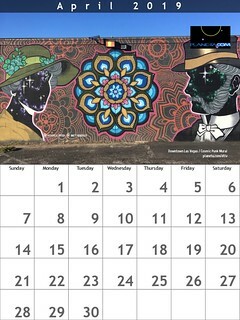 Consejo – Repita este proceso de manera regular (cada día, cada dos días, cada tercer día) durante un mes. Esto te dará la oportunidad de ver lo que funciona mejor para ti. 2) Notieren Sie sich Ihre ID und ihr Passwort. 3) Fügen Sie Informationen über sich selbst oder ihre Firma zu Ihrem Bio Abschnitt hinzu. 4) Fügen Sie ein Foto oder Logo hinzu, um Ihren Avatar zu erstellen. 5) Wenn Sie fertig sind, posten Sie eine Nachricht. Diese darf max. 140 Zeichen lang sein. 6) Leiten Sie interessante Nachrichten von anderen Personen weiter (“Retweet”). 7) Markieren Sie Nachrichten von anderen als Favorit, wenn Ihnen diese gefallen. 8) Verwenden Sie hashtags— Wörter oder Sätze markiert durch ein # in Ihren Nachrichten. Betten Sie einen Twitter Widget auf Ihrer Webseite ein. Tipp – Wiederholen Sie diesen Vorgang in regelmäßigen Abständen (täglich, jeden zweiten Tag, jeden dritten Tag) für einen Monat. Dies gibt Ihnen die Gelegenheit zu sehen, was am besten ist für Sie. 2) Kirjuta oma ID ja parool üles. 5) Kui oled valmis, saada oma esimene sõnum. Sõnumite pikkus saaab olla kuni 140 tähemärki. 8) Include a hashtags— words or phrases prefixed with a # in your message. Vihje – Korda sead protsessi korrapäraselt (iga päevaselt, igal teisel või kolmandal päeval) ühe kuu jooksul. See annab võimaluse sul näha, mis toimib sinu jaoks kõige paremini. Sie helfen anderen über Ihre Aktivitäten auf dem Laufenden zu bleiben, ohne ihnen eine E-Mail schicken zu müssen. 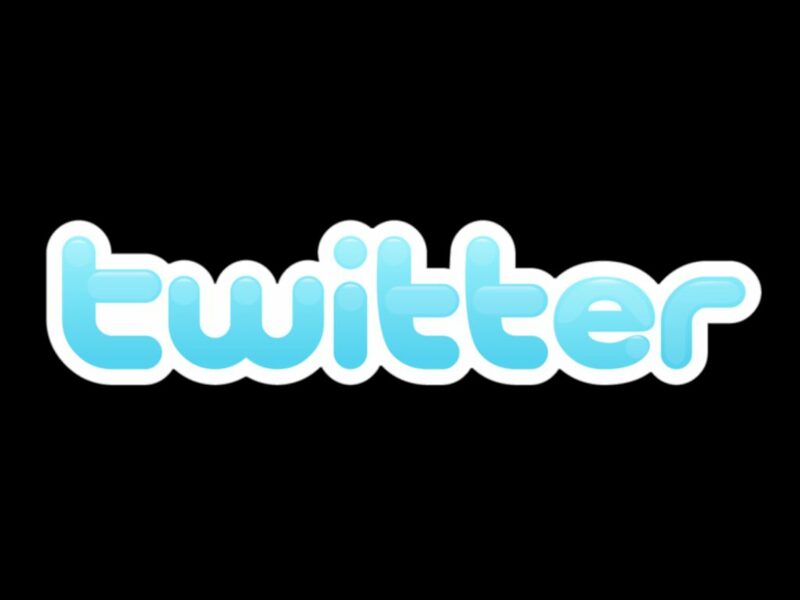 Twitter was launched on July 13, 2006, and has gone from a service then called Twttr to one of the biggest forces on the social web. 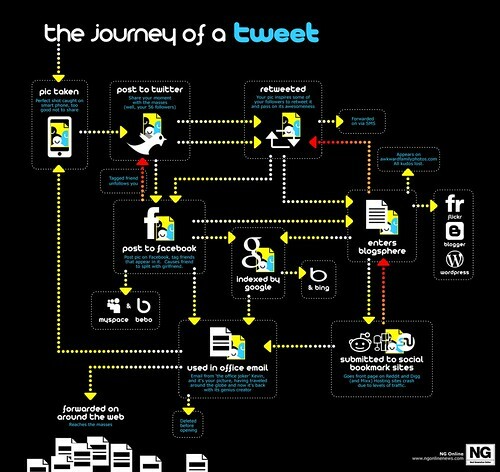 2011 numbers: delivers 350 billion tweets a day. Ron: What we have found most useful are the connections between Twitter and other pages. For example, if I tweet about any photo on Flickr, the # of views goes up substantially (and this can easily be tracked). I used to have to do this manually. Now Flickr is kind enough to provide the small icons that anyone can configure the site to tweet or facebook the images. We see the same set-up on blogs, slideshare, youtube and other sites. Does your organization have a twitter account or a list of members on Twitter? Does your school have a twitter account or a list of students/faculty/alumni on Twitter? Twitter’s Trending Topics algorithm identifies topics that are immediately popular, rather than topics that have been popular for a while or on a daily basis, to help people discover the “most breaking” news stories from across the world. We think that trending topics which capture the hottest emerging trends and topics of discussion on Twitter are the most interesting. Twitter trends help you stay updated on what people are talking about around the web. You can change the list to reflect trends in your own country or select cities, worldwide and even trends tailored to your interests and those you follow. Each audit takes a random sample of 5000 Twitter followers for a user and calculates a score for each follower. This score is based on number of tweets, date of the last tweet, and ratio of followers to friends. We use these scores to determine whether any given user is real or fake. Of course, this scoring method is not perfect but it is a good way to tell if someone with lots of followers is likely to have increased their follower count by inorganic, fraudulent, or dishonest means. Twimmolation – The destruction of a person’s career or reputation caused by lewd or insensitive Twitter posts. A retweet amplifies a message. A retweet is not necessarily an endorsement. New! ActivityView favorites, follows, retweets and more by people you follow in Activity. View your mentions, tweets that were retweeted and more in @. You may delete all location information from your past Tweets. This may take up to 30 minutes. Examples: which is the working Twitter account? Could you retweet the tweet about twitchers on Twitter? Want to pay attention to someone without following them? Would you like to see someone’s tweets without following them in your main feed? Add them to a Twitter list. Be aware that they can see the lists to which they’ve been added. How to I embed a twitter list? I like favorites as it creates a directory that’s easy to return. But I don’t see an easy way to find out if my posts have been favorited. Is there a way to tell if my tweets have been favorited? What’s a retweet? You can forward a tweet from someone else — someone you follow or anyone on Twitter — you add a link to the original sender. 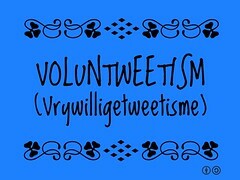 Retweeting is a form of flattery showing that you think enough of the message to spread the word. Think of the retweet as a show of confidence in the person being retweeted It also benefits you by highlighting your interests and showing your generosity. If you want to edit the text a bit, simply use the label followed by the @ and the account. This will direct your readers to the original source. How can I retweet you if you do not tweet? 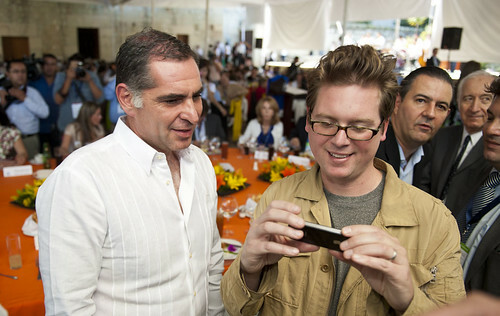 Twitter began 2006 and became popular with its coverage of the 2007 SXSW conference. Do not protect your tweets if you want people to have access. In tourism workshops I am asked a lot about twitter. They’re bitter, they’re cynical and they have a right to be. This web tool has an annoying name that sounds like someone with a lisp trying to pronounced ‘treat’ and it’s frankly difficult to explain what it is when the name is so awful. But so what? Is it useful? The best way to see twitter in action in the tourism industry is to see the hashtags were or were not used by tourism events. 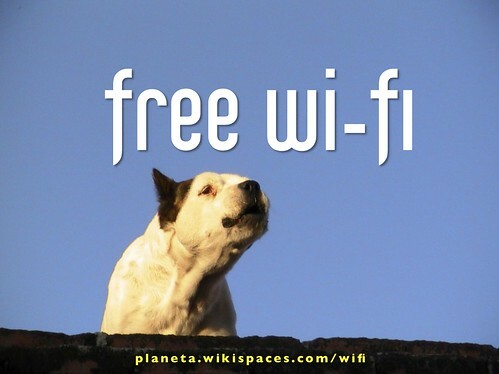 The 2009 and 2010 WTM in London had no free wifi at the event which bothered a number of participants. I imagine a roll-over effect at travel events that becoming increasingly wired because to do otherwise will simply amplify the voices of the critics. In 2009 we saw initial use of hashtags at the Ecotourism New Zealand Conference and the Responsible Tourism Conference in Belize. In 2010 hashtags were used at the travel trade conference in New Zealand. For those learning to make effective use of Twitter, check out two of my favorite Twitter lists. Twitter users can now organize users they follow (or users that they don’t) into groups, or “lists”. This article will help you get started with some lists basics and hopefully get you ready to make your own! 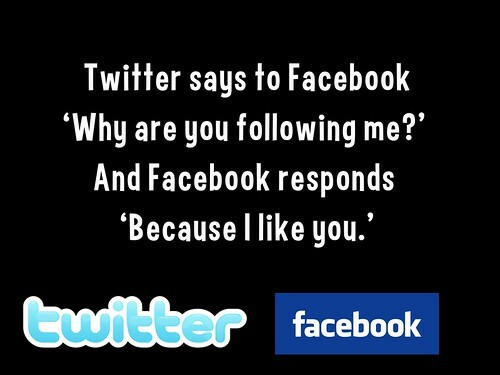 Twitter can be linked to your facebook account to provide your current status. Does the conference accept questions during the event via Twitter? Most people use Twitter to answer the question of ‘What are you doing?’ Others are using Twitter to ask questions. In 2008 I talked to the manager of tour company in Ecuador who uses Twitter to send communiques to staff. Was he worried that others might be following the conversation? Not at all. “If people want to pay attention to our company, so much the better,” was the reply. Tip – Twitter messages may be tagged using hashtags, a word or phrase prefixed with a #, such as #planeta.com. This enables tweets on a specific subject to be found by a search. Ask a Flowchart: Should I Delete My Tweet? Which travel firms do Twitter well (and badly)? Customize Twitter by choosing who to follow. Then see tweets from those folks as soon as they’re posted. Twitter is a phenomenon that can be adapted to rural users. You don’t have to tweet every 5 minutes. Imagine this scenario: what happens if you’re on the computer and you read an article or see a video that accurately depicts your community. This could help open the eyes of potential visitors. If you tweet, then there’s the opportunity for me and others to retweet, distribute the message further. But if you’d don’t tweet, that opportunity disappears. Recommendation: invest your time in what matters to you. Stay focused on your message and use the tools accordingly. recommended reading: Ask a Flowchart: Should I Delete My Tweet? The question is – are they doing what’s necessary to keep Twitter relevant? And I don’t want to be the cheerleader here. Most people don’t get it. They aren’t Twitter literate, savvy or comfortable. But I take this as a political act. I think we’re going to look at 2017 as the golden age of Twitter thanks to you-know-who and we might as well have some fun making the most of Twitter in these wonderful times. KimKierkegaard – The philosophy of Søren Kierkegaard mashed with the tweets and observations of Kim Kardashian. @BPGlobalPR was created during the BP oil spill to mock the company’s response to the disaster and raise money for an environmental group. 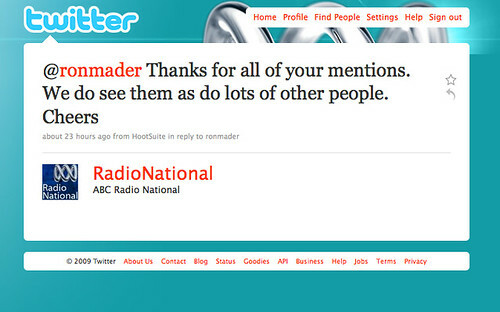 Preserving your tweets! Back them up with us, then export to CSV and PDF. Created on a dark and stormy night by @joshsharp. The service is available in more than 20 languages, and we continue to add them. You can change your language preference in your user settings with just a few clicks. View more presentations from lpacker. How often do you use direct messages on Twitter? ¿Con qué frecuencia utiliza los mensajes directos en Twitter? Question: When a Twitter account is hacked, is there a good way for you to massively delete messages sent or accounts followed?